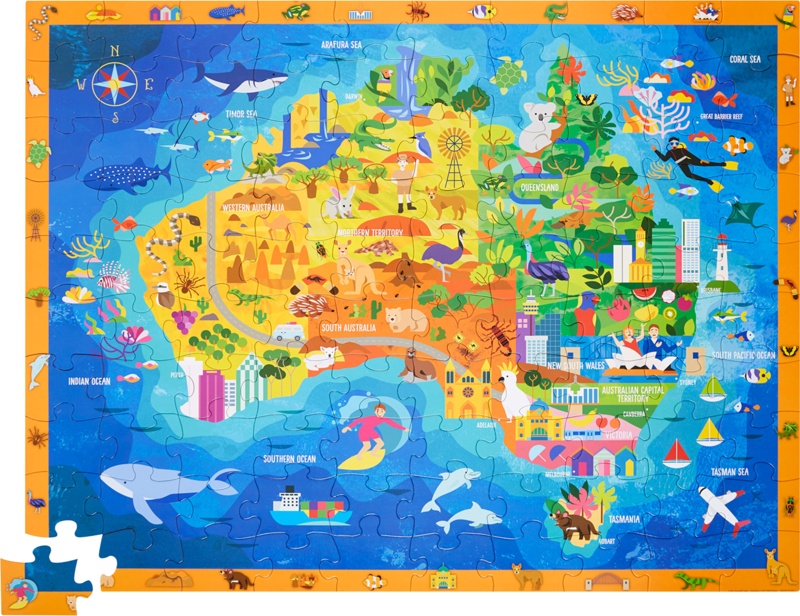 One of my favorite projects in 2017 was an illustration for a 100pc jigsaw puzzle by Crocodile Creek. The brief was to create a detail-packed map of Australia filled with iconic buildings, national treasures, and indigenous flora and fauna. The icons were also used as interactive play pieces. I also had to make sure each region was equally represented. The first round was to get pencil sketches approved, followed by digital drafts. I had only a couple weeks to pull everything together and I’m really happy with how it turned out. All product photos are from the client’s online shop. 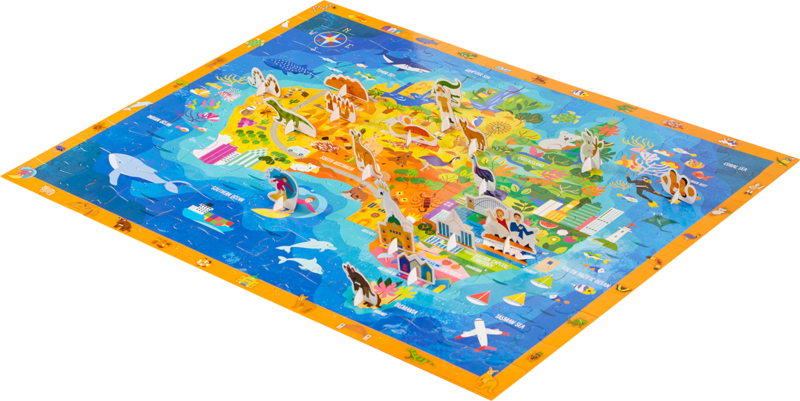 The map includes the famous beach houses, the Sydney Opera House, Flinders Street station, capybaras, whale sharks, Ayers Rock, and tons of other things I learned about. 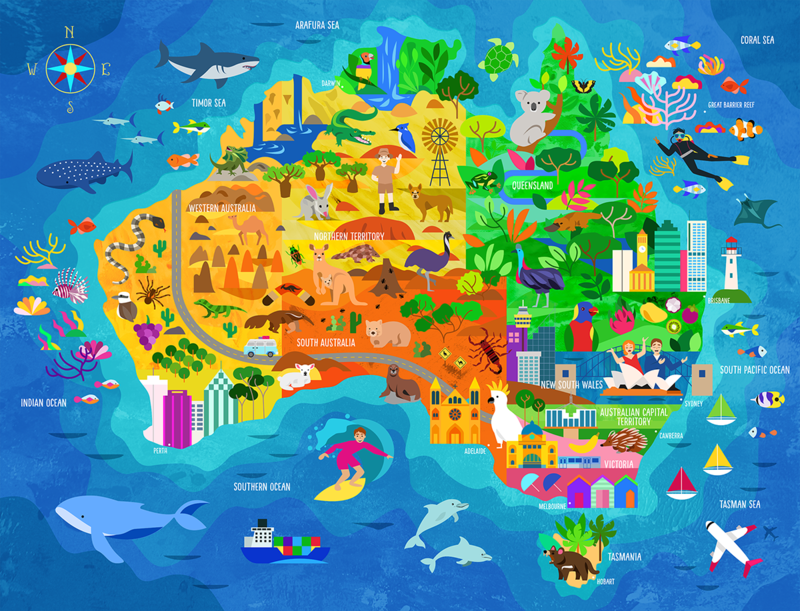 An illustration for a 100 piece jigsaw puzzle of a map of Australia by Crocodile Creek.